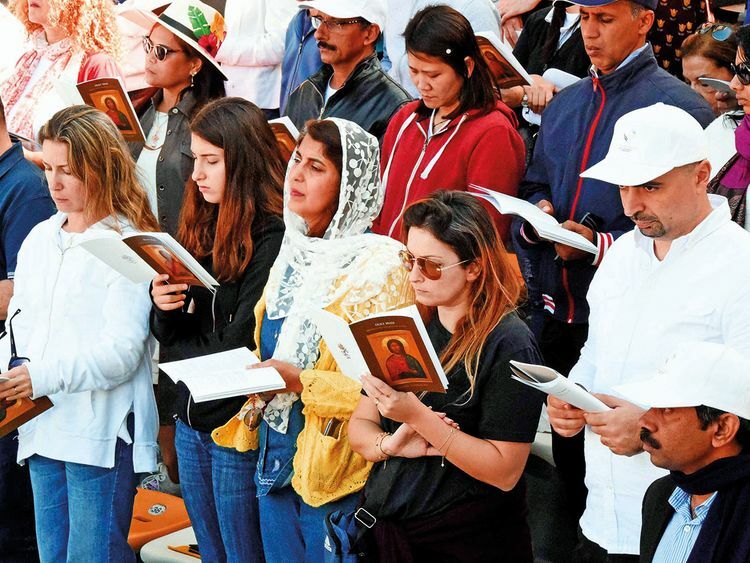 Abu Dhabi: As a Muslim from the south Indian state of Kerala, the Papal Mass attended by Christians, Muslims, Hindus and people of other faiths revived fond memories of my childhood. Growing up with Hindu and Christian friends and sharing religious festivals and occasions were — and remain to this day — a common experience in Kerala for a Muslim. This experience of growing up has remained largely unchanged despite the current turbulent socio-political situation in many other parts of India. Living away from my homeland, the Papal Mass was reminiscent of a harmonious life where love, affection and support was showered on me by neighbours and friends for whom religion was immaterial in relationships. That moment filled me with hope. Amidst every-day news of conflicts in the Muslim world, mostly due to religious and sectarian differences, a leading Muslim nation, my home away from home, has hosted a rare religious ceremony of another prominent faith. It gives a ray of hope because the Papal Mass reminded me the anecdotes I heard in religious sermons of hospitality extended by Prophet Mohammad (PBUH) and Caliph Omar Bin Al Khattab to Christian and Jewish priests. When a nation tries to emulate such good examples from its own religious tradition and history, it strengthens the hope of the people who believe in such harmony and fraternity. Those words were the answers to my introspection on the validity of excitement and sense of jubilation about a harmonious future. If it has aroused similar thoughts and hope among some, I am sure this will spread to many throughout the world.